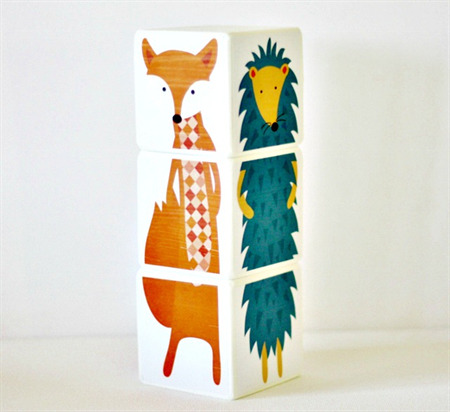 Gorgeous 7cm wood block set made up with four different WOODLAND animals as pictured (owl, fox, hedgehog and rabbit). (order may be different than pictured). This design is exclusive and you will not see it anywhere else. 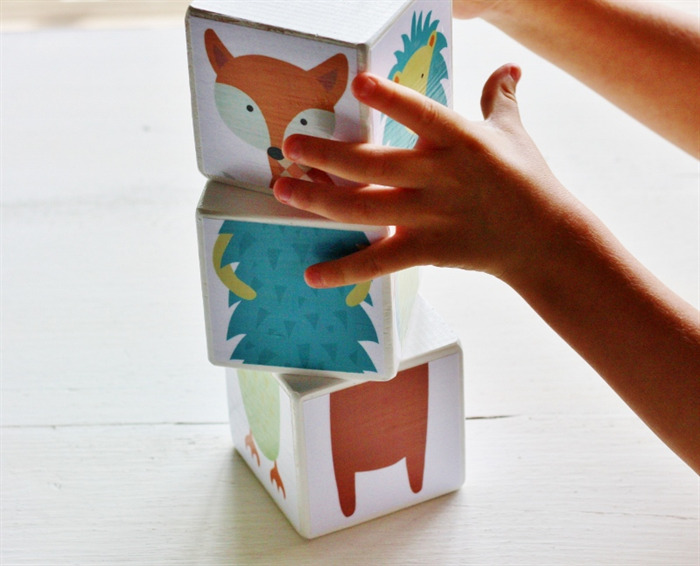 These are such a perfect size for young ones – not so small that they will get lost or the impact of the design is reduced :-) I do not use smaller blocks for any of my designs as these need to be seen AND be easy to play with so are a perfect size! 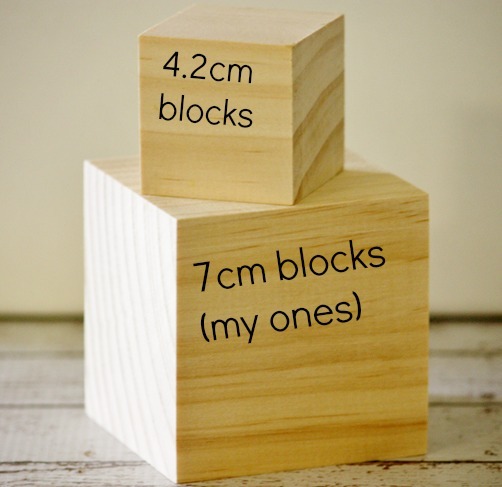 See pic for the comparison between blocks. 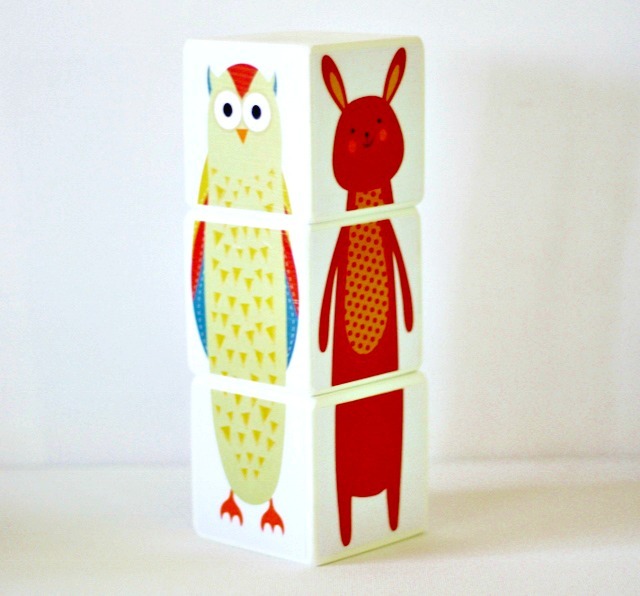 3 x Natural wood blocks decorated with paper, BABY SAFE eco paint and non toxic sealer. I do NOT use a varnish on them so they are totally non toxic and great to play with as well as look great. These are both a toy and decor item but are not for going in little mouths – please supervise under 3′s. 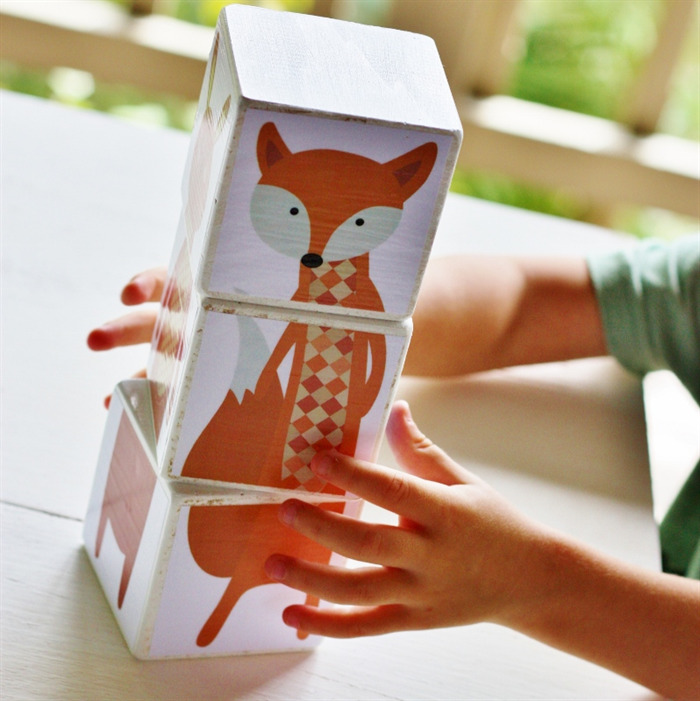 Each set has FOUR animals over THREE blocks to play with. Price includes a calico storage bag. Please note that due to the handmade nature of these there maybe be slightly rougher areas due to wood grain etc.